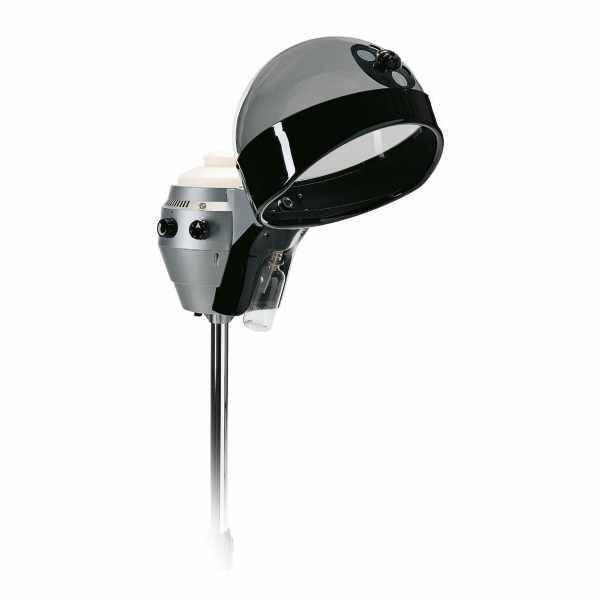 The vapo alu is a hair steamer on a castors base with a timer and steam setting. Silver color. Shown with optional wall attachment.